My memories of Easter as a child involved a lot of chocolate Easter eggs – terrible I know! I really want to help create some different kinds of memories for my children so I have been thinking about what we can do to achieve this. When I look online for ideas or think back to other things I have seen, generally they are around bunny rabbits, eggs and new beginnings. However we are in the southern hemisphere and in the middle of autumn, so the ideas often don’t match what is going on in our local environment. 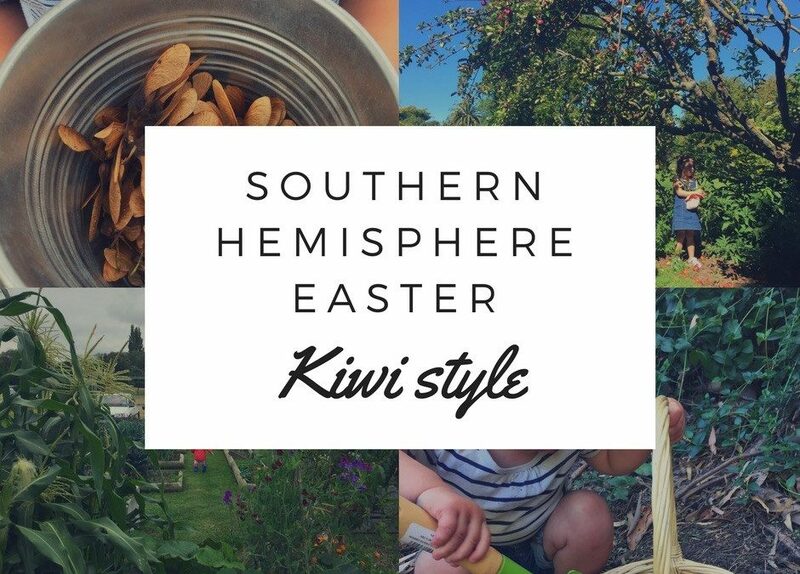 I have put my thinking cap on and here are 11 ways to create a Southern Hemisphere Easter – Kiwi Style! If you have anything to add please drop me an email and I would be happy to add them to this list. Nature Rainbow Walk: What I love about autumn is the vibrant colours, so this idea is about collecting leaves in as many different colours to create a rainbow of leaves. You could mix it up a bit and collect some petals from the flowers that are finishing their last bloom or whatever else you find out there. Easter Rock Painting: Go to your local beach or river and collect some flat-ish rocks. Paint some New Zealand birds or bird’s eggs on the rocks with your tamariki. You could try kiwis, fantails, morepork or even a Moa! Remember to seal your rocks with a sealant that you can buy from somewhere like Mitre 10, Bunnings or the Warehouse. Easter Kiwi Hunt: Its time to hide the rocks! You could hide them at your local park for your tamariki or for other people to find (look on Facebook for your local ‘Rocks’ page). Alternatively hide them at your preschool, kindy or in your backyard for a bit of treasure hunting fun. Autumn Foraging Trip: Head to your local foraging spot and see what you can find. We went out last week and found lots of apples and pears. Walnuts and fijoas are coming into season now too. This could lead into an autumn picnic or maybe baking an Easter apple pie. That’s just a normal apple pie to you and me but you get the idea. If you don’t have access to any good foraging spots – you could always hide some apples for your tamariki and see if they can find them. Easter Mud Kitchen Banquette: Have an Easter Banquette where the children get creative in the mud kitchen. Having a collection of petals, leaves, herbs and sticks will make it a wonderful occasion for everyone at your centre or in your family to come together and enjoy. Plant Some Bulbs: Autumn is a good time to get your bulbs in the ground for spring. They could also be a nice gift that the children could ‘make’ either to give at Easter, for Mother’s Day or even keep them till Father’s Day in September when they will come up out of the ground. For this you will need some small pots. Otherwise plant a children’s daffodil garden for spring. 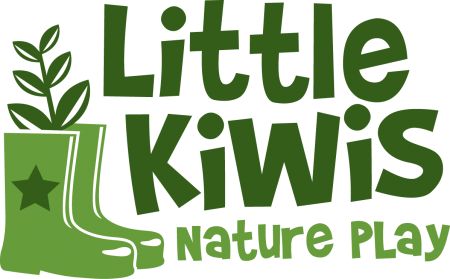 Make a Kiwi Nest: Gather a large pile of fallen leaves and create a giant nest for all your little kiwis (tamariki) to try and sit in. If you head to a local park to gather the leaves you could either stay in the park or the tamariki might want to make it into a transporting exercise. Needles from pine trees work well too! Running Through the Leaves: Making a Kiwi Nest leads nicely into running, crunching and throwing leaves in the air. This is a great way to burn some energy and enjoy a full sensory experience. Acorn and Spoon Race: This is an adaption of the egg and spoon race – but here we are racing any kind of fallen nut! Acorns or concors or chestnuts would work well. You could also use a cup rather than a spoon and they could fill a cup of acorns and carry them around a course. The choice is yours. Nature Scavenger Hunt: A good old Nature Hunt. We have two that we created last year and they are free to download from here. Or maybe you and your tamariki could create one of your own.